Global corporations initiate, join and maintain socio-technological change and hence, alter the ways in which we organize our lives. Demanding significant investment of resources and time, the development and implementation of new technologies on different levels must take into consideration these subtle processes. As such, it is particularly important that we have a greater insight into the practices of hi-tech corporations, in view of the often inflated promises of and concerns about the destiny of technological breakthroughs, especially those promising sizeable economic outcomes and societal transformation. 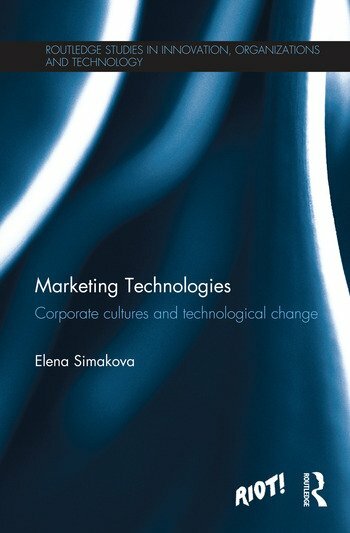 Elena Simakova undertook a lengthy ethnographic study, working alongside marketing managers in a global IT corporation in their Europe, Middle East and Africa (EMEA) headquarters in the UK. Using the experience gained through a close participation in their everyday corporate rituals and routines, her account challenges common perceptions of how corporations make the world think and act with regard to technologies in particular ways. The book contains an interesting case study on the launch of a radio frequency identification (RFID) based solution. Unravelling the construction of expectations, inclusions and exclusions around emerging technologies, this reflexive account also tackles uneasy practical and methodological questions pertinent to corporate ethnography. This book is an essential read for scholars in science and technology studies, economic sociology, anthropology, as well as management and organizational studies and research policy.